Zanzibar is An exotic island that attracted sailors, traders and merchants from around the world for centuries as a trade capital in spices, gold, ivory and slaves and once the home of the sultans of Oman. The allure of the spice island still resonates today, Zanzibar is a place of white sand beaches and turquoise water, an island dotted with crumbling ancient ruins steeped in history and an island where centuries old architecture can still be seen in the labyrinth of streets that make up Stone Town. 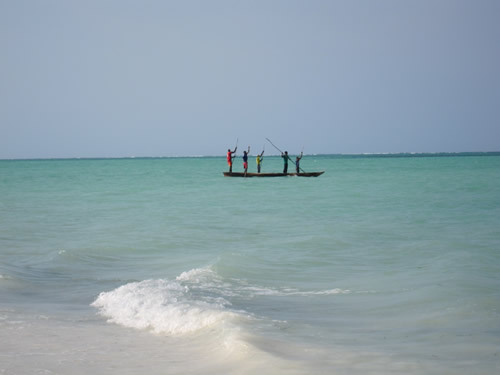 Zanzibar offers a relaxing beach vacation after a gruelling Kilimanjaro trek or an ideal way to end a safari holiday. Many activities await the visitor, from a myriad of water sports, to exploring Jozani forest, to taking a guided tour of Stone Town or a nearby fishing village. All are great ways to learn more about the Swahili Coast and its people. An example of a four day Zanzibar extension. Unguja is the biggest island within the Zanzibar archipelago. It houses the seat of the government and boosts of having a live history of Zanzibar vividly seen along the narrow streets of the Stone town. Because of its rich history, its importance as it harbours the capital of Zanzibar, its collection of crystalline sandy beaches, its close proximity to the mainland of Tanzania, and perhaps its easier accessibility by both sea and air, Unguja attracts thousands of visitors every year. 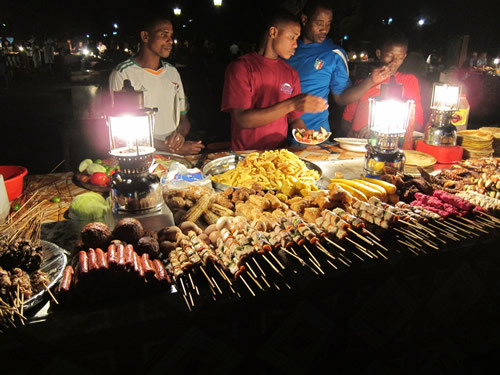 Zanzibar Beach Holiday, We recommend at least 1 night in Stone Town and at least 2 nights at the beach. You can easily spend a week on Zanzibar and not see and do everything! At Stone Town, you will visit the historic sites of the former slave market, House of Wonders, the old fort, Kelele Square, embassies, and Darajani market. Learn about the unique architecture and the ornate doors. Zanzibar is known as the “spice island” and this tour will walk you through the local farms to the incredible variety of spices grown on the island. You will have a chance to taste local and unique fruits as well as watch a coconut gatherer in action. Jozani Forest is the one place in the world to see the beautiful and friendly Red Colobus Monkeys. You will also do a short rainforest hike and explore the mangrove trees. Dolphins are mostly found in the very south tip of the island. This is a fascinating snorkeling opportunity with an 85% chance of swimming with wild dolphins. Prison Island is 25 minutes by boat from Stone Town. Although a prison was built here, it was never used as a prison. The island has giant tortoises, beautiful beaches, and a marvelous coral reef for snorkelling. This is a full day tour (9:30am-4:00pm) on the traditional dhow boat around the island beaches and other islands with optional snorkeling and a seafood lunch. See dolphins, explore a mangrove lagoon, climb a baobab tree, or just go swimming in the warm, blue waters. Safari Blue is based out of Fumba on the southwest tip of the island. Dar es Salaam, the largest city in Tanzania, is close to Zanzibar and can be reached by ferry or plane. If you have a free day, and especially if you’re traveling to Dar anyway to use the Dar es Salaam international airport we recommend to visit the National Museum of Tanzania. The National Museum of Tanzania is a consortium of five Tanzanian museums whose purpose is to preserve and show exhibits about the history and natural environment of Tanzania.The consortium developed from the National Museum of Dar es Salaam, established in 1934 by Tanganyika governor Harold MacMichael.Four more museums later joined the consortium, namely the Village Museum in Dar es Salaam, the National History Museum and the Arusha Declaration Museum in Arusha, and the Mwalimu Julius K. Nyerere Memorial Museum in Butiama.